Is it just me or have you also noticed that some brides hairstyle turn out bad on the D day? To avoid having bridal hair mistakes on your big day, i’m going to give you tips on how to avoid hair mistakes. Every lady has an image of how she wants to look like on her wedding day. And would wait a lifetime just to look her best and be the celebrity for the D-Day. From the outfit to the hairstyle, make-up and jewellery would have been thought about. All eyes are on the bride and everyone would notice if the look is a disaster or not. 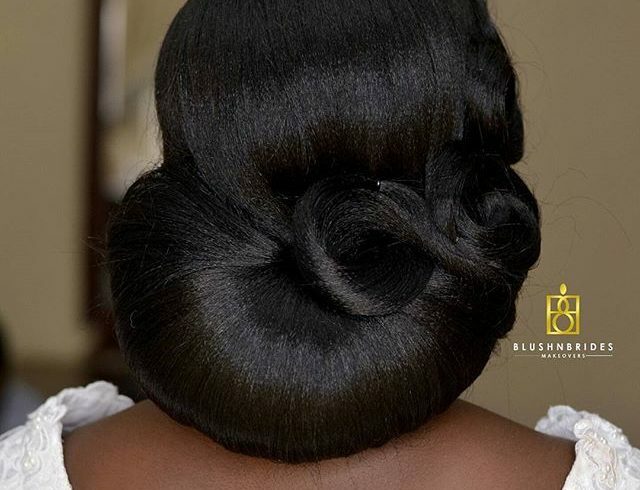 So below are some common mistakes bride to be should take note to avoid hair blunder. Hair Extensions: I know hair extensions look fabulous and beautiful on Instagram but have you thought maybe it would fits your hair and face? Also try to buy the hair from a trusted salon and inform your hairstylist before buying. And try not to go for cheap extensions which are of low quality. Wrong Hair Accessory: A tiny hair accessory can create a massive statement. And you must also keep your outfit in mind and also avoid cheap accessories. Avoid Too Bright And Too Bold Hair Colours: Do not go for hair colours like bold red, bright maroon, extreme golden blonde etc. They do look really fashionable when doe in the daily routine but won’t suit the occasion of marriage. You have to look decent and pretty during your big day and these bright colours will make you look extremely opposite . Settling For One Style For The Ceremonies: Don’t settle for different hairstyles for the traditional, white and reception. Your hairstylist can play around with styles and settle for one that compliments your outfit as well. Use Of Bobby Pins: Falling hairs on your special day will disturb your mood and your glow as a bride. Make sure you secure your hair with enough bobby pins for your hairstyle to stay in place.